Recycling dryer lint and egg cartons can make some great firestarters. Dryer lint burns well and is a wonderful material to use for making fire starters. All you need to do is save the dryer lint from the clothes dryer vent, a few cardboard egg cartons, and some old candle wax. I added some bits of wood and yarn scraps to enhance the firestarters. You can use cardboard and scraps of paper also for additional material in your firestarters. 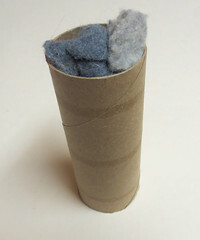 Today’s tip is how to recycle your toilet paper rolls and repurpose your dryer lint. Recycled toilet paper rolls make excellent firestarters. Just save your toilet paper rolls and stuff them with lint from your dryer lint trap. 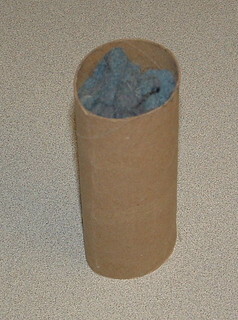 I find it useful to keep a few empty rolls by the dryer and then each time I empty the lint trap, I just stuff the lint into the paper roll. After a few drying cycles, the roll is full and I keep it near my woodstove along with kindling for firestarting.